Trump’s lawyer suggests James Comey broke the law. He didn’t. Trump’s Lawyer Says Comey Broke the Law by Leaking. He Didn’t. 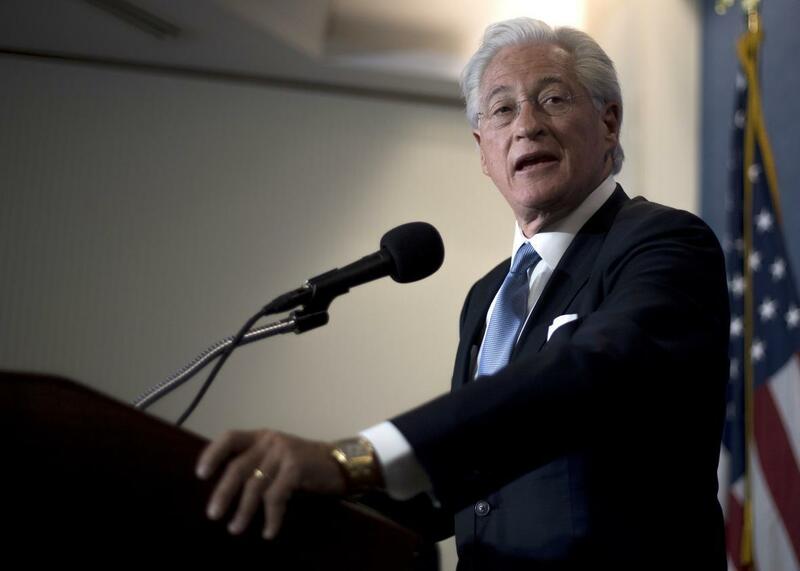 Trump’s personal lawyer, Marc Kasowitz. At Thursday’s Senate Intelligence Committee hearing, James Comey revealed that he’d leaked a story to the press after his ouster as FBI director. Comey testified that he’d asked a friend—a professor at Columbia Law School who has since been confirmed to be former federal prosecutor Daniel Richman—to share with a reporter the “contents of the memo” he’d written after a Feb. 14 meeting with Donald Trump in the Oval Office. It was in that private meeting, Comey alleges, that the president urged him to drop the FBI’s investigation into Michael Flynn. Comey explained that he made his account of the meeting public because he believed such a move would “prompt the appointment of a special counsel” to oversee the Russia investigation. The President can claim privilege over whatever he wants to, but it’s irrelevant here; privilege is a defense against an effort to compel disclosure (for example, against a subpoena or a warrant). It’s a shield, not a sword. Here, where a former government employee is voluntarily testifying / acting, there just aren’t any criminal consequences for violating even a valid claim of privilege. The only way there could ever be a criminal case against Comey for leaking his memos, Vladeck told me, is if they contain classified national security information (in that case, a leak could be a violation of the Espionage Act) or information “that has pecuniary value to the United States” (which could be a violation of the federal conversion-of-property statute). Would it be possible to make the argument that the memo Comey leaked did contain that kind of information? “If all he did was memorialize the contents of a conversation with the president the contents of which were not themselves classified, no,” Vladeck says. Warner: You made clear [in your prepared remarks] that you wrote that memo in a way that was unclassified. If you affirmatively made the decision to write a memo that was unclassified, was that because you felt at some point the facts of that meeting would have to … be shared with the American people? Comey: Well, I remember thinking, This is a very disturbing development. … If I write it in such a way that I don’t include anything that would trigger classification, that would make it easier for us to discuss within the FBI and the government and to hold on to it in a way that makes it accessible to us. Is it possible that leaking details about his confidential conversations with the president violated Comey’s employment agreement with the FBI? Sure, says Vladeck. But that’s not the same thing as breaking a law, and Kasowitz (almost) certainly knows that. For that reason, the lawyer’s sternly worded—not to mention typo-ridden—letter should be seen not as an actual threat to have Comey investigated, but as something closer to a press release. In that capacity, it will likely succeed. Given the gusto with which conservative media has already seized on this aspect of Comey’s testimony, the former FBI director can look forward to weeks, months, and probably years of being pilloried in the right-wing press—and, perhaps, on the president’s Twitter page—as the ultimate deep state leaker. It will be punishing, for sure. But it won’t come with a prison sentence.